The latest affordable housing proposed by Reignview Development Sdn. Bhd. at Teluk Kumbar. 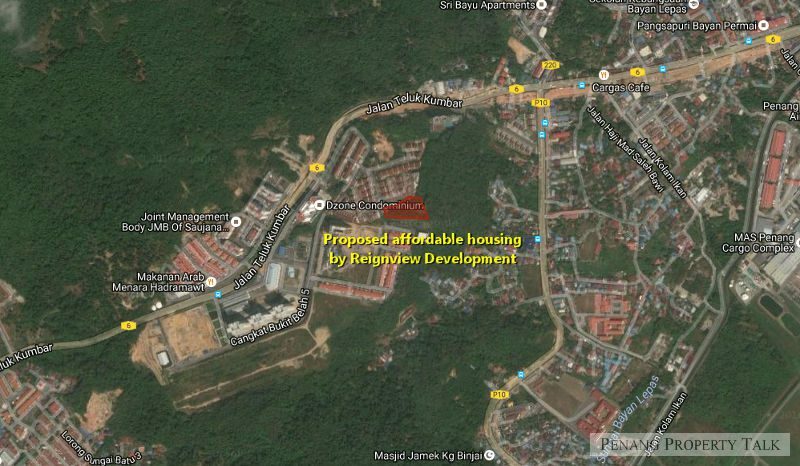 This is the third affordable housing within Teluk Kumbar area, located next to Emerald Park gated housing scheme. It is about 5 minutes drive from Penang International Airport via Jalan Teluk Kumbar, just a stone’s throw away from D’zone and Platinum III Condominium. This development will see the construction of a 24-storey condominium, offering 195 affordable residential units with facilities located at level 7. Developer: Reignview Development Sdn. Bhd. help to provide more details on this. Kindly do PM me.